The Health and Social Care Information Centre (HSCIC) produce annual reports of breast cancer screening performance in England. Its latest report, published in February, covers the year 2014 to 2015. During those 12 months, 2.11 million women were screened by the NHS Breast Screening Programme, an increase of 1.3% on the previous year. Of those screened, just over 18,000 women were diagnosed with breast cancer, which equates to 8.6 cancers for every 1,000 women screened. We aim to detect breast cancer at an early stage, before it can be felt by hand or seen, in order to give women the best chance of successful treatment. During 2014 to 2015, of all cancers detected that were invasive – and therefore had the potential to spread to other parts of the body – just over half (51.8%) were detected when they were small. It is good news that disease is being detected at this early pre-clinical phase. This finding is supported by an audit which looked at the stage of presentation of breast cancer from stage 1 (being early in the disease progression) to stage 4 (most advanced stage of disease progression at diagnosis). Of all women presenting with early stage disease (stage 1), 51% presented through the breast screening programme, where the stage was known. In comparison, 37% of women with stage 1 disease were diagnosed following a 2-week wait referral appointment from their GP. Most women attending breast screening have been screened in the previous 5 years, so this makes the diagnosis of later stage presentation of disease less likely within the programme. Of all women presenting with later stage disease (stage 4), 6% of women were diagnosed through screening compared to 46% diagnosed following a 2-week wait appointment organised through their GP. Consequently, the benefits of early diagnosis can be compared when examining women who have been diagnosed either through the screening programme or through other routes. For more information see the National Cancer Intelligence Network (NCIN) website. The media focused on two main issues in the HSCIC report – coverage and uptake. Coverage is important because we need to ensure that women eligible for screening are invited within the appropriate timescale (36 months) since their previous screen. This ensures we have every opportunity to maximise the benefits of screening and reduce deaths from breast cancer. The target for coverage measures the percentage of women in the population who are eligible for screening at a particular point in time and have had a test with a recorded result at least once within the previous three years (the screening round). 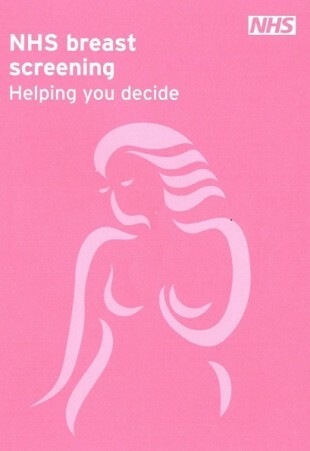 As we know, screening is a choice and the programme encourages women to make an informed choice whether to attend. Unfortunately, although minimum standards for coverage are achieved, there has been a continual decline in rates of coverage over the past four years (from 77.2% in 2011 to 75.4% at March 2015). We are currently working with researchers to look for ways to improve coverage rates, particularly for harder to reach communities. Uptake is closely related to coverage as it measures the proportion of women invited who actually attend for screening within 6 months of their invitation. The programme’s acceptable standards have been achieved but overall screening uptake fell over a 10-year period from 74.4% (2004/05) to 71.3% (2014/15). It fell particularly for women receiving their first invitation to breast screening – from 70% to 63%. We offer second timed appointments to women who have previously not attended but it is important that the information we give women before we offer screening helps them make an informed decision by discussing the known benefits as well as the possible risks. The leaflet Helping you decide presents an honest and reliable account of what the mammogram is like and helps women make an informed choice. It may also have had an impact on uptake levels in recent years.
" In breast screening, 6% of women were diagnosed with Stage 4 disease in comparison to 46% diagnosed following a 2-week wait appointment organised through their GP"
Thank you Michael, I have amended the wording of the blog to make it clearer. Most women attending breast screening have been screened in the previous 5 years, so this makes the diagnosis of later stage presentation of disease less likely within the programme. Of all women presenting with later stage disease (stage 4), 6% of women were diagnosed through screening in comparison to 46% diagnosed following a 2-week wait appointment organised through their GP.